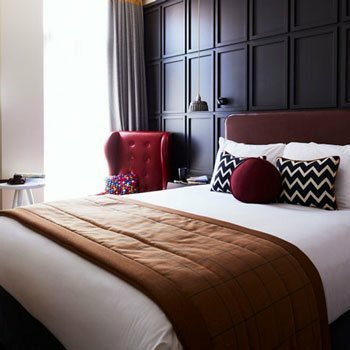 Hotel Indigo York is perfectly positioned in York on Walmgate, a buzzy foodie destination within the ancient city walls. 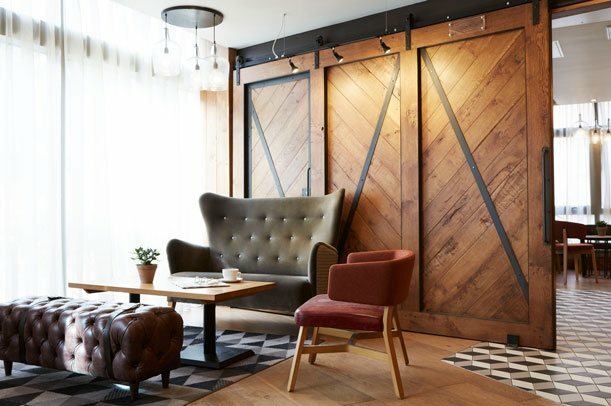 This beautiful boutique hotel in York has 103 individually designed guest rooms and in its first year won the York Press People’s Award for its design. 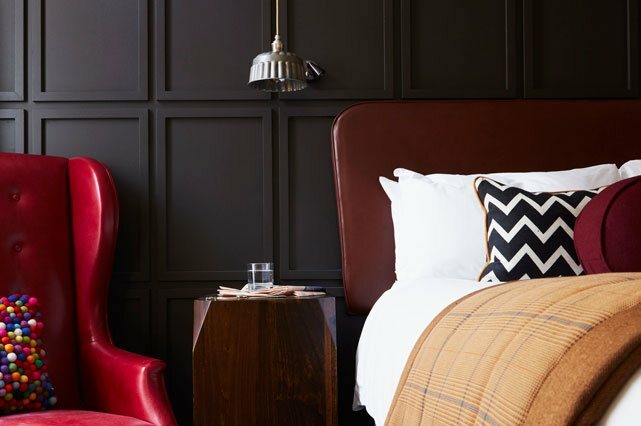 Supremely comfortable beds are matched by stylish use of local fabrics and all the furniture was designed and crafted in Yorkshire. If you are intrigued by the lampshades in some of the rooms, they are details from a C19th census of the neighbourhood. The technology is definitely 21st century. The rooms at our hotel in York comes equipped with 40” HD LCD Samsung Smart TVs, with a wide choice of channels. Keeping in touch and up to date with work or family is easy as you can connect your computer or tablet using the Wi-Fi or the TV’s built-in Bluetooth feature. Wi-Fi is free throughout our York hotel. If keeping fit is important, please visit our Fitness Room in our York hotel. It’s small but perfectly equipped with the choice of screens or the view to keep you amused. After your workout, don’t forget to visit No.88 Walmgate, our buzzy bar and restaurant in York. It has a superb choice of local craft ales and beers and the menu is distinctly Yorkshire in style with lots of local flavours and seasonal ingredients. Our friendly staff at our boutique hotel in York are the experts on what to do and where to go in York so please tap into their local knowledge. 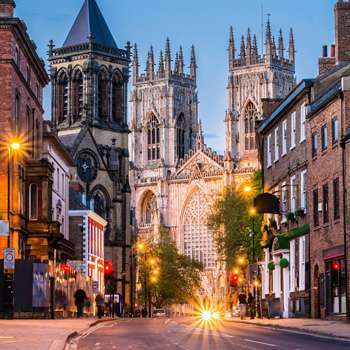 Our York hotel is well positioned and it is just a short stroll to the key attractions. Do our room numbers look familiar in design? 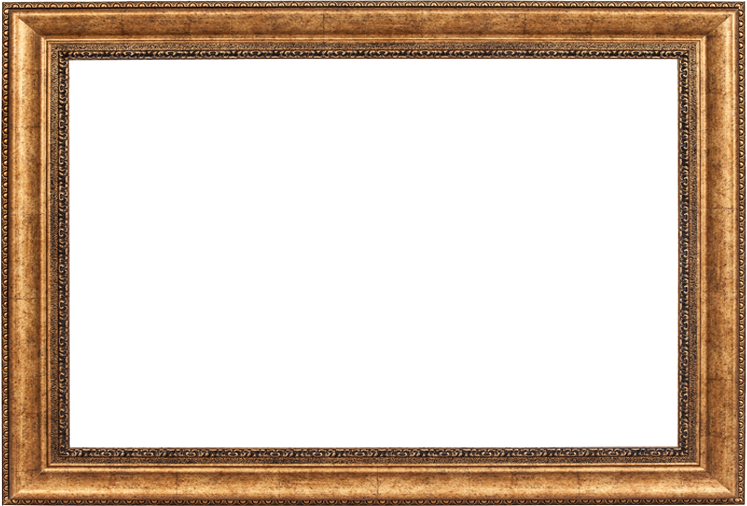 We had them specially commissioned and they were hand carved in the style of the world-famous York Minster.